Religion and interfaith often are seen as limited to their own, quaint little corner in human affairs. But understanding the the mission of religion to express moral positions on political, and even military questions, shows a more integrated and holistic grasp of this arena. In this article Dennis Sadowski examines US led drone warfare from the position of assessing its morality based on Catholic understanding. This is an extremely important counterpoint to the grossly lowered bar of what is “legal” to which public figures have sunk. From pointed questions from members of Congress to grass-roots resistance movements around the country, drone warfare in Pakistan, Yemen and Somalia has come under increasing scrutiny. Such decisions since 2004, the earliest days of the drone campaign, have led to thousands of deaths, innocent victims included. 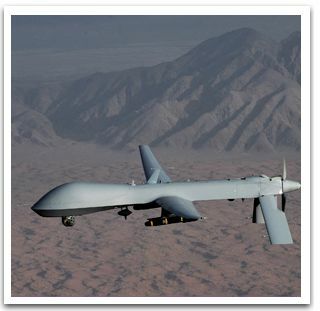 Although the administrations of Obama and former President George W. Bush have declined to release casualty figures, the New America Foundation has tracked drone strikes and the resulting loss of life.